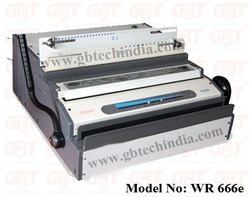 Our clients can avail from us a wide range of Binding Machine Wiro that is in compliance with the international standards. 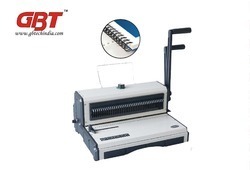 These have an electric motor that promotes smooth operation and is further, capable of binding papers. The range is available in different dimensions and sizes. 2.One handle, two functions. Means one handle can both punch and bind. 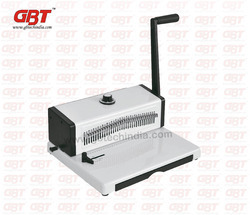 5.All selectable pin to punch small paper like A5 and so on. 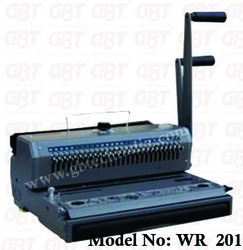 We are one of the well known manufacturers of a quality range of Wiro Binding GBT WR 970T FS - 2:1 machine that is fabricated using high grade raw material. 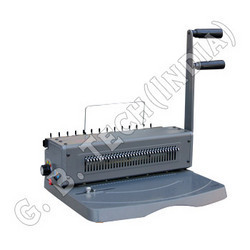 The compact design machine is available in various sizes and shapes. 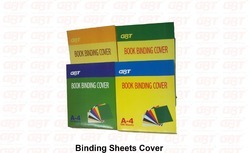 It is capable of adding strength to the material and binds a large number of papers. 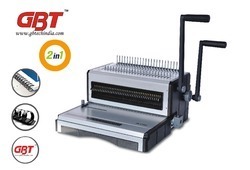 4.With all selectable pins, can punch small size paper like A5,B5,etc. 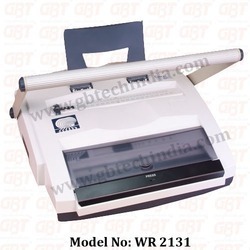 We offer a comprehensive range of Wiro Binding Machine 2 in 1 that is designed as per the requirements of the industry. 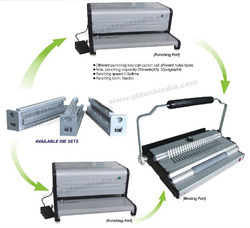 The range is light in weight and can be easily moved from one place to another. 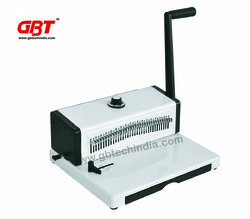 It is appreciated for its compact design, shock proof body and smooth operation. 1) Our twin wire ring is made of high quality carbon steel. 2) Our twin wire ring is easy to press into the shape of round. 3) Twin wire ring is very convenient to bind. 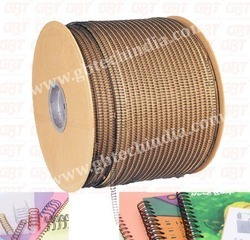 4) Twin wire ring is used in printing finished products such as book binding, table calendar, loose-leaf notebook, map, diary, catalog, and recipe.